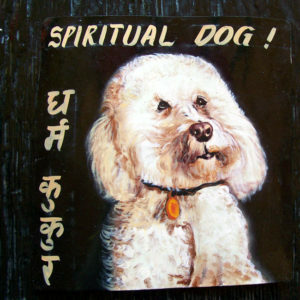 The Bichon Frise is a popular dog with the Danger Dogs fair trade art project. 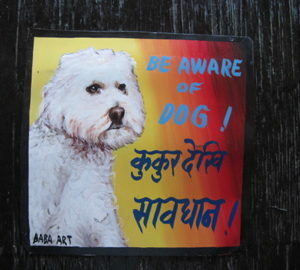 This folk art beware of Bichon Frise sign is handpainted by Baba – who modestly calls himself the ‘elephant of artists’. Charlie the Bichon Frise is a fine example of this. 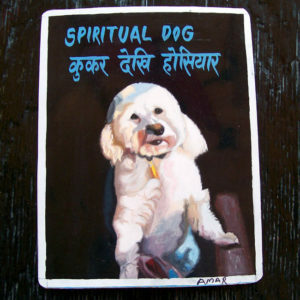 This folk art portrait of Charlie the Bichon Frise is hand painted on metal by Megh Raj, a sign painter from Kathmandu. 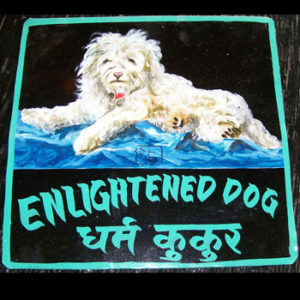 This Shaggy dog portrait of a Bichon Frise by Sagar is on extra heavy recycled metal and has part of a Nepali signboard on the back. 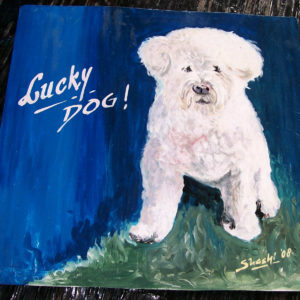 This is indeed a lucky Bichon Frise in this lovely portrait of a dog by ShaShi. 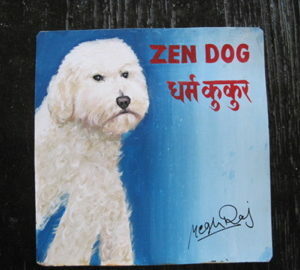 Louis the Bichon Frise is hand painted on metal by the artist Amar Shrestha.